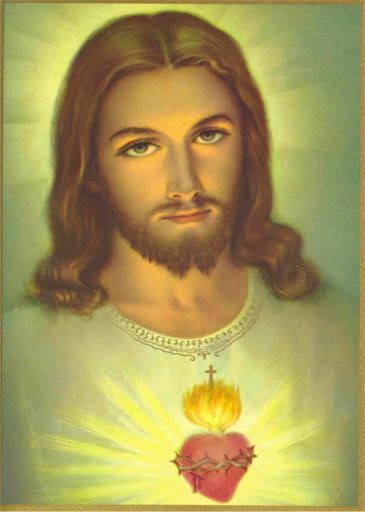 On the solemnity of the Sacred Heart of Jesus we consider Love itself who became Incarnate. Blessed John Henry Newman praises the ineffable love of the Triune God. Newman considers how love is the reason for the Incarnation, and how out of infinite love for sinners Christ remains in a small tabernacle. He also speaks to Our Lord about the question he made to Simon Peter and now addresses to us: Do you love me more than these? Jesus saith to him, Lovest thou Me more than these? 1. THOU askest us to love Thee, O my God, and Thou art Thyself Love. There was one attribute of Thine which Thou didst exercise from eternity, and that was Love. We hear of no exercise of Thy power whilst Thou wast alone, nor of Thy justice before there were creatures on their trial; nor of Thy wisdom before the acts and works of Thy Providence; but from eternity Thou didst love, for Thou art not only One but Three. The Father loved from eternity His only begotten Son, and the Son returned to Him an equal love. And the Holy Ghost is that love in substance, wherewith the Father and the Son love one another. This, O Lord, is Thine ineffable and special blessedness. It is love. I adore Thee, O my infinite Love! 2. And when Thou hadst created us, then Thou didst but love more, if that were possible. Thou didst love not only Thy own Co-equal Self in the multiplied Personality of the Godhead, but Thou didst love Thy creatures also. Thou wast love to us, as well as Love in Thyself. Thou wast love to man, more than to any other creatures. It was love that brought Thee from heaven, and subjected Thee to the laws of a created nature. It was love alone which was able to conquer Thee, the Highest—and bring Thee low. Thou didst die through Thine infinite love of sinners. And it is love, which keeps Thee here still, even now that Thou hast ascended on high, in a small tabernacle, and under cheap and common outward forms. O Amor meus, if Thou wert not infinite Love, wouldest Thou remain here, one hour, imprisoned and exposed to slight, indignity, and insult? O my God, I do not know what infinity means—but one thing I see, that Thou art loving to a depth and height far beyond any measurement of mine. 3. And now Thou biddest me love Thee in turn, for Thou hast loved me. Thou wooest me to love Thee specially, above others. Thou dost say, “Lovest thou Me more than these?” O my God, how shameful that such a question need be put to me! yet, after all, do I really love Thee more than the run of men? The run of men do not really love Thee at all, but put Thee out of their thoughts. They feel it unpleasant to them to think of Thee; they have no sort of heart for Thee, yet Thou hast need to ask me whether I love Thee even a little. Why should I not love Thee much, how can I help loving Thee much, whom Thou hast brought so near to Thyself, whom Thou hast so wonderfully chosen out of the world to be Thy own special servant and son? Have I not cause to love Thee abundantly more than others, though all ought to love Thee? I do not know what Thou hast done for others personally, though Thou hast died for all—but I know what Thou hast done specially for me. Thou hast done that for me, O my love, which ought to make me love Thee with all my powers.